I love the combination of Sterling Silver & Copper. This is part of my "Mixed Metal Magic" earring collection. 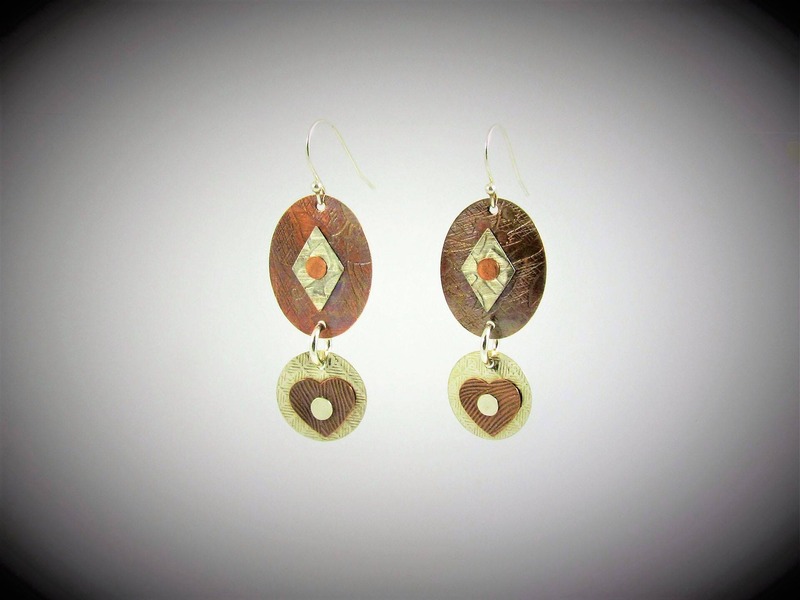 These earrings are extremely lightweight, are so much fun to wear and go with almost anything. The beautiful texture adds to the tiny Sterling Silver Ladybug I added at the bottom. 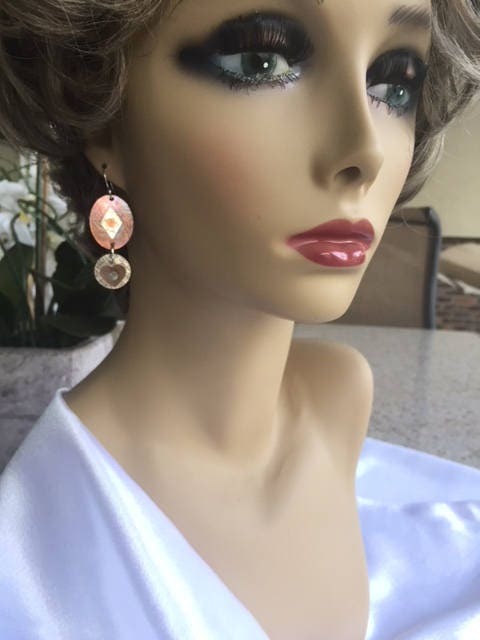 These earrings go with any skin tone, any color hair and any hair length. These earrings are one-of-a-kind in design. The earring hooks are .925 Sterling silver. Surgical Steel Earring hooks are available and no extra charge. I use a 9 step process where I use my torch to anneal the metal then texture it with hammers, hand tools or a rolling mill. I patina the metal then polish with my flex shaft and bench lathe. I then use several different ways to cut out the metal such as a jeweler's blade, metal shears, or german engineered cutters. I connect the various metal components together with a technique called "cold connections" using rivets or brads. The final step is to add .925 Sterling Silver earring hooks. Since some people can be allergic to sterling silver I offer surgical steel hooks if requested. 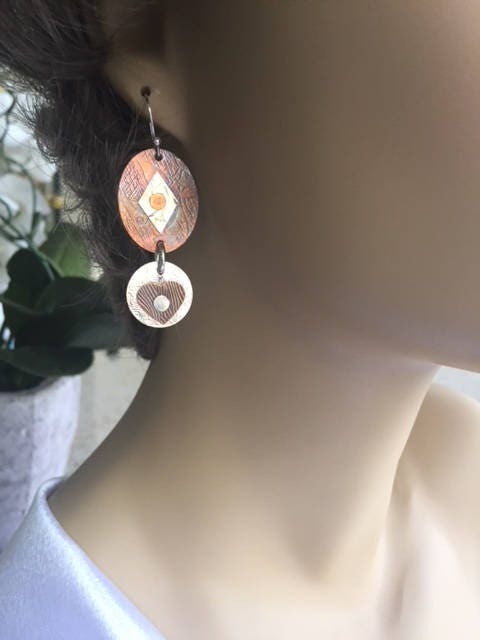 The metals I use are .925 Sterling silver, Copper and/or brass with each pair of earrings being unique.